2 column layout with 3 column footer widgets. box style home page post with star rating icons. Previous/Next page icon with share button. It supports up to 10 unique page supports, and even more that this. So why you are getting limited by the limitation of blogger come on and feel free to demonstrate your work with this Deposit photos blogger template. 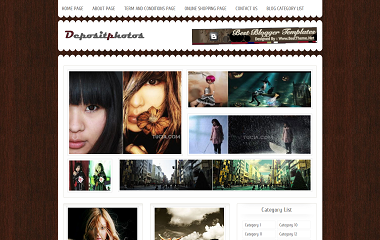 This Template is best for portfolio and photo-blogs.